You are currently browsing the tag archive for the ‘Art Kites’ tag. The Thanksgiving holiday has come and gone. 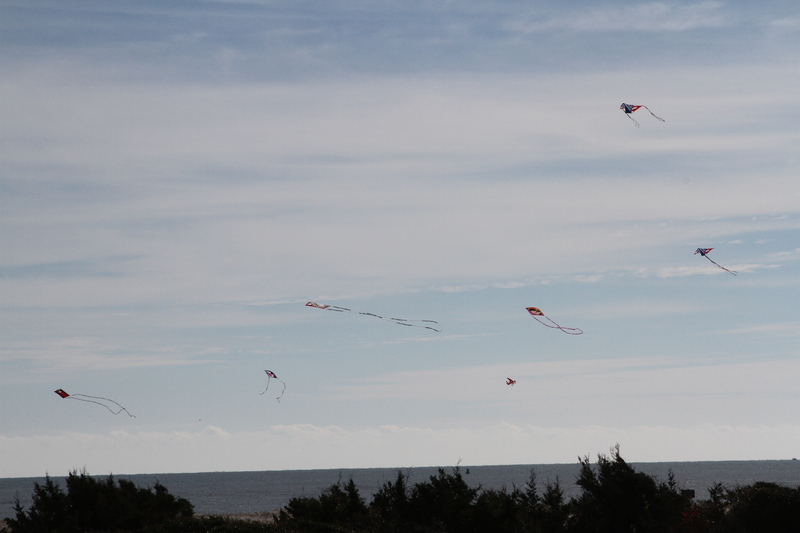 This year we did have the time to go to the beach and fly some kites. Unfortunately, the wind was high and coming from the mainland, passing over homes and condos before reaching the beach. The result was gusty, “squirrelly” winds. Not very conducive to dong much flying. Sometimes it seems we just can’t get a break and have a good flying day. Did my best to fly a White Bird dragon kite. Usually one I can depend on in higher winds. This day, however, I spent most of the time picking it off the sand and relaunching. What made this day special was the inaugural flight of the Peter Lynn Manta Ray, a recent purchase by some good friends. It was not the best day to attempt flight but, as most of you may know, when you get something new you just have to put it in the air. 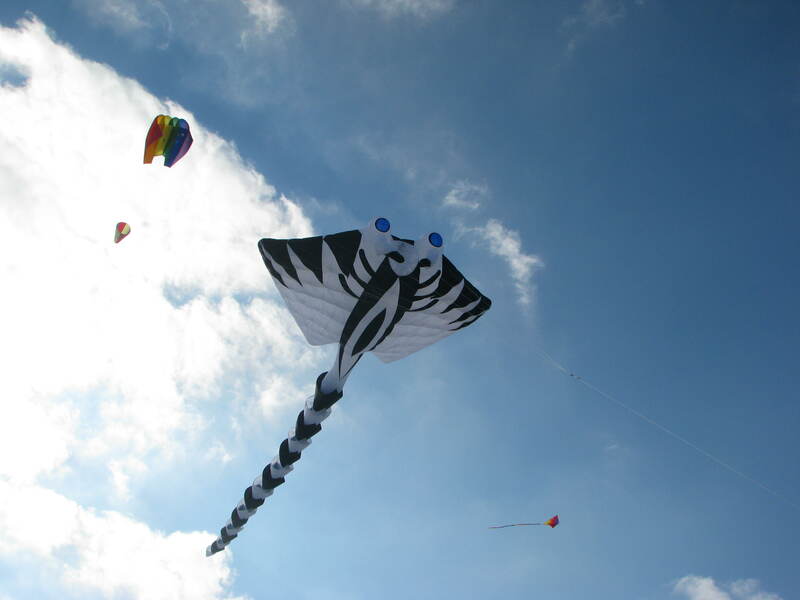 It is really an impressive kite with its black and white pattern and its blue eyes. We missed the Sunday community kite fly. It was a little chilly and the grandchildren were visiting. It was a joy to have them with us and we did visit Fort Macon with them. From there we saw the kites in the sky. And a pretty impressive show it was with quite a few Randy Tom art kites in the air. 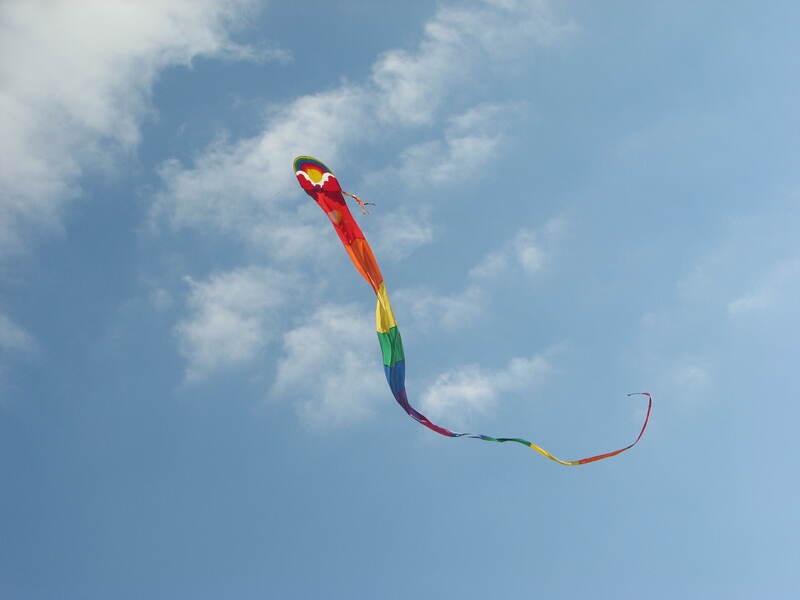 Hopefully next weekend will be a better weekend and we can put some kites in the sky ourselves.